Today is "Give back Tuesday," a national movement following the Thanksgiving spending rush, and a chance to help the less fortunate. I'll have a few more posts about ways you can give back, through donations this holiday season. But here are some volunteer ideas in which you can involve the kids. Many opportunities to adopt a family for the holidays, providing them with gifts, funds, or something else to make their lives easier. The Shelter Network is an organization my family volunteered with before (on many occasions) and they have many opportunities to help. Plan a gift drive. Adopt an individual or family. Serve meals. Donate a holiday dinner basket. Learn how to help and sign up here. Children's hospitals are always accepting toy donations. Adopt a family at Children's Hospital of Oakland. Make donations to UCSF's Benioff Children's Hospital. 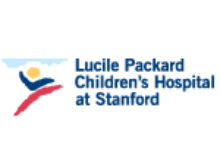 Donate toys, supplies, gift cards or choose something off Lucille Packard Children's Hospital's Amazon wish list. Deliver meals to adults who are home-bound or ill. We used to do the Chicken Soupers delivery with our kids and it was a great lesson in compassion. Plus the people we visited loved to see the kids, even for a few minutes. Then we took the kids for ice cream. It was a great experience all around, and by doing it regularly, we got to know the adults a little better and the kids looked forward to it. If you can come in and bring some games or decorations, many senior homes appreciate the visitors. Find out if they allow pets to come too, and maybe you can bring your dog to cheer them up. Collect food donations and bring them to a food bank. Second Harvest has food sorting days where you can volunteer with the kids. We've done this as well. You have heard of Kiva and microloans. It's a small loan that you make to someone, coupled with loans from other people. 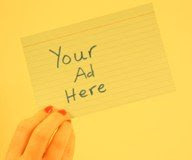 It's to help build a business and often is only a few thousand dollars. The repayment rates are extremely high and you can choose who you loan to. While the money is paid back, you funnel it into another loan after, so you don't actually get repaid yourself. I've been doing this through Kiva, $25 at a time. Have your kids sit with you at the computer and look through the loans requested. Decide who you want to give it to, whether you decide to support someone in a specific country, a mom trying to build a business, someone supporting the family, someone expanding a business, a farm, or whatever moves you. Use this Kiva link to make a loan, and I will get an additional amount to loan out as well (I gain nothing personally - I get to make an addition loan). This is an easy and fun project to get the kids involved with - it's Holiday Mail for the Heroes - through December 6. Send cards of appreciation to members of the military and they'll be forwarded on to our troops. If your child's Cub Scout den/pack or Girl Scout troop is looking for a project in the next week, this one is perfect. We did it last year with ours. 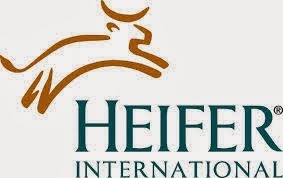 I really like the Heifer organization, where you can donate an animal (or a share of an animal) to help those trying to improve themselves in other countries. Those families pass it on, when the animal gives birth - they give the babies to other families and teach them how to raise them. Heifer has ways to involve the kids in the process. And if your kids want to start a Read to Feed program (not necessarily at the holidays) here's how. I'll be doing a longer post on this later in the week, but Passports with Purpose is a travel blogger fundraiser that is raising $115,000 to help buildOn build three schools and fund three adult literacy programs in Mali, Africa. In return for every $10 donation, you get one chance to win fabulous prizes ranging from vacations to electronics to other prizes. Last year I won a GoPro video camera! You can see what's up for bidding and make a donation here. The Chronicle Season of Sharing Fund is an organization I've contributed to. The fund provides one-time donations to families in need for specific purposes. If you read the SF Chronicle, you've probably seen stories they write about some of the recipients. Each year the fund helps more than 5,000 Bay Area families encountering an unexpected crisis. It's one of the largest private sources of emergency financial assistance in the area. The fund is celebrating its 27th anniversary this year.